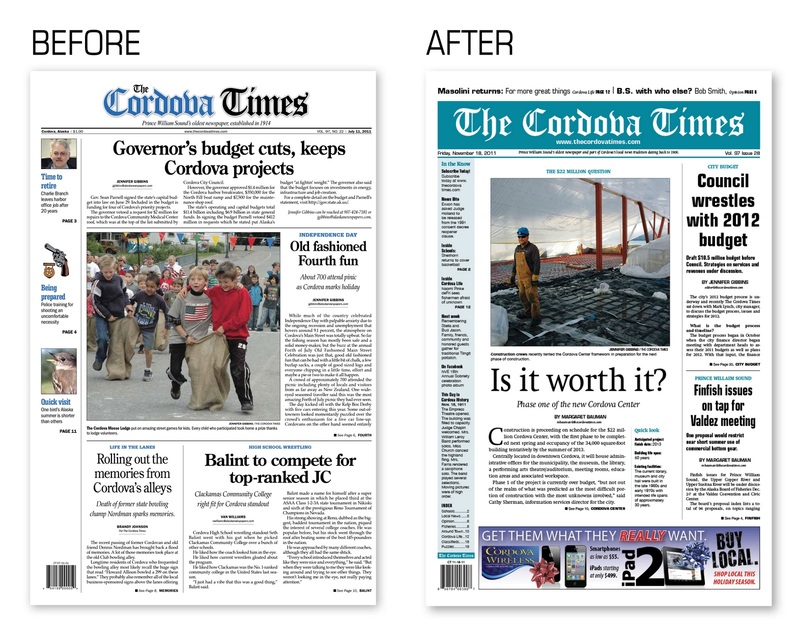 Today I am so pleased to share my latest project — a complete re-design of The Cordova Times. When the editor of The Cordova Times bought her own newspaper in August I shot her an email wishing good luck. 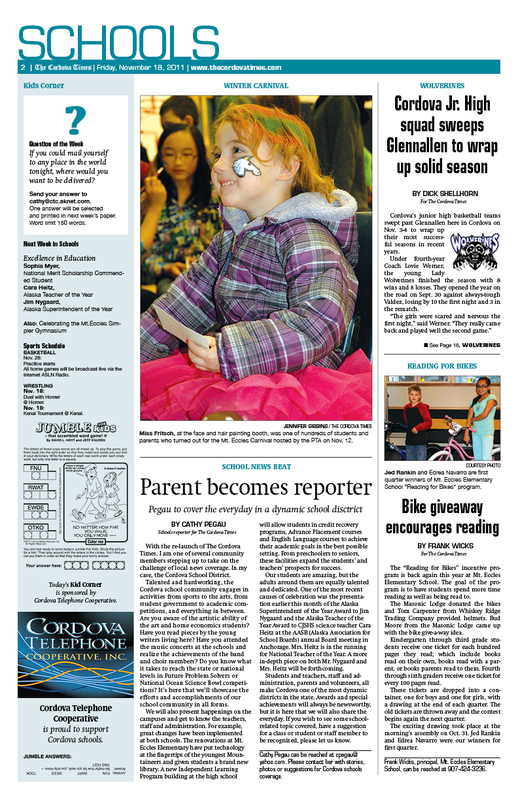 But I never expected three months later I would be staying up all night putting the finishing touches on the re-launch of the newspaper complete with a new look. 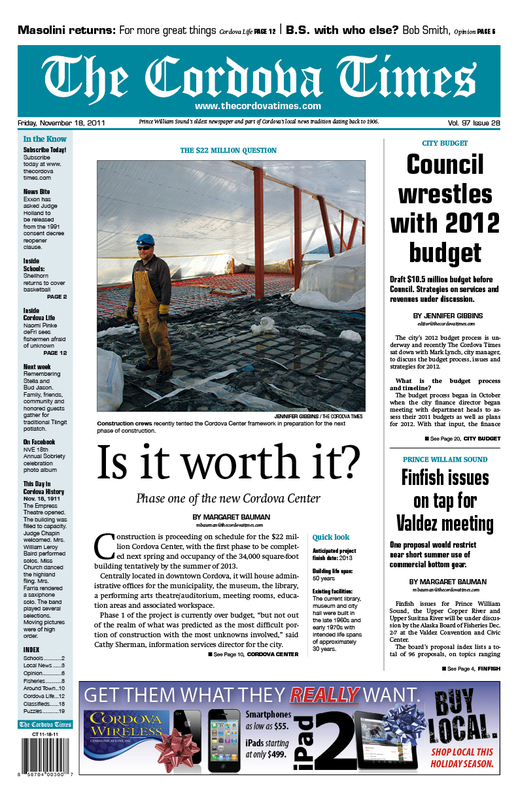 In the process leading up to the redesign we talked a lot about the tight-knit community of Cordova and what it wanted out of it’s newspaper. 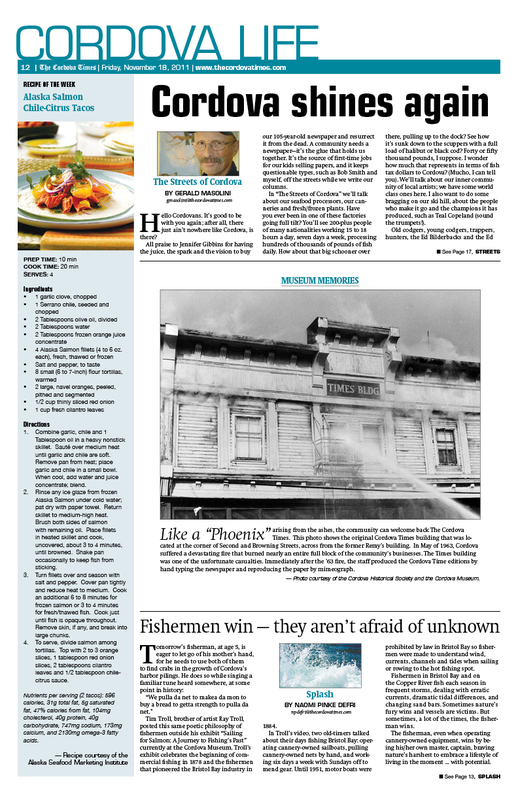 Even though it’s a small weekly tab, we decided to create faux section fronts for Schools, Fisheries and Lifestyles. As well as a weekly standing doubletruck called Around Town. 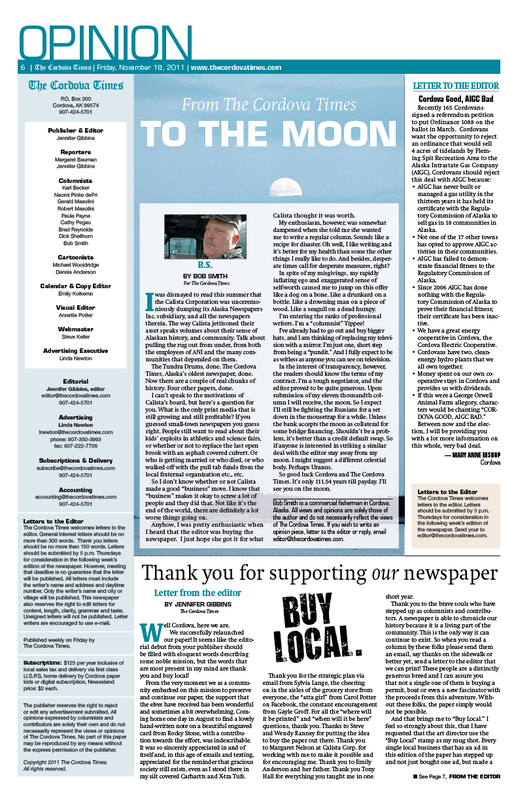 The whole paper is big on local content and big on advertising too, for a publication of it’s scale. 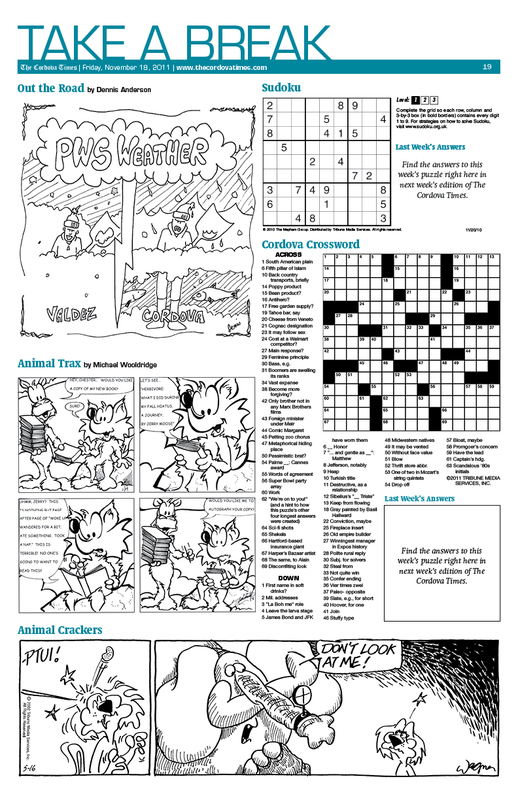 The community really stepped up and told the editor, “we want our paper to survive, how can we help.” It re-invigorated my faith in the future of journalism. Local, local, local. We did something unusual. There were companies in who care about Cordova’s access to local news, but didn’t necessarily have a huge stake in advertising their name in Cordova. And some who simply wanted to support the newspaper above and beyond their regular advertising commitment. So we offered “sponsorships” of sort. Yearlong advertising commitments that included logos directly tied to content like tide tables in the Fisheries section and Kid Corner in the Schools section. We tried to keep it strictly to somewhat neutral content. 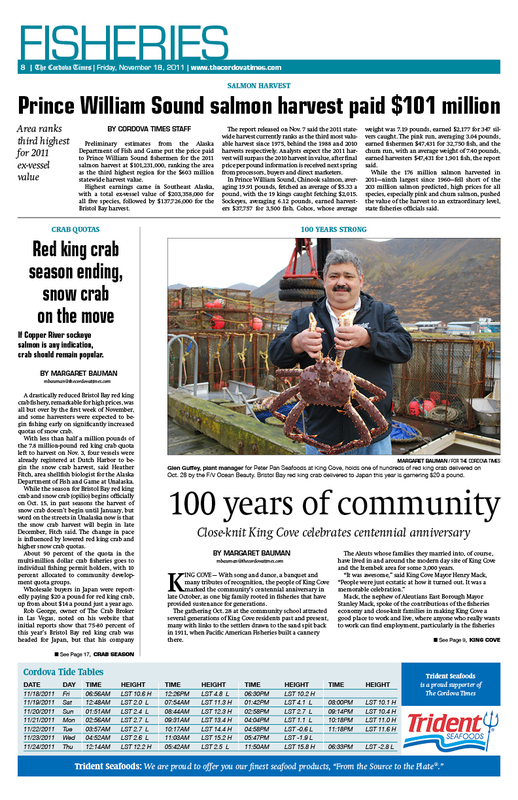 We completely re-mixed the Classified with big headers, a splashy Photo of the Week and free listings under a certain word count — on a space available basis — for newspaper subscribers. 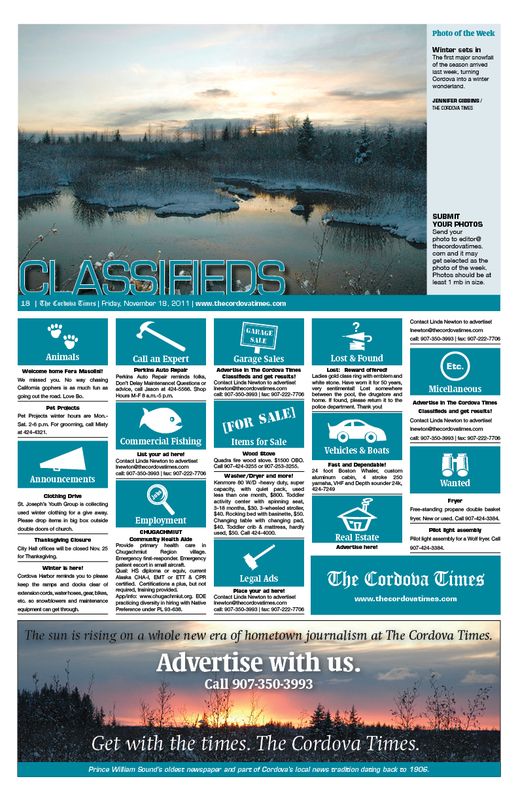 The old Cordova Times commonly had no Classifieds at all on any given week, and often had only two or three listings. I’m completely proud of this project and think it looks even better in print that on screen. What do you think?